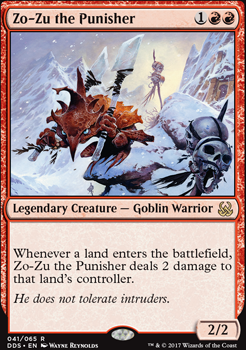 Whenever a land enters the battlefield, Zo-Zu the Punisher deals 2 damage to that land's controller. 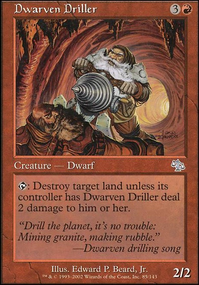 Low budget land destruction with Zo-Zu the Punisher ? Wow, seems like you want to do a deck very similar to my own. I focused pretty hard on pillowfort and punishment. 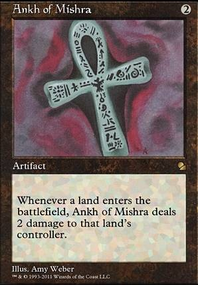 Please take a look at the deck itself, Divine Decree, but I'll list some of my all stars. Hope it helps. I don't think I suggested any you already have but my bad if I did. 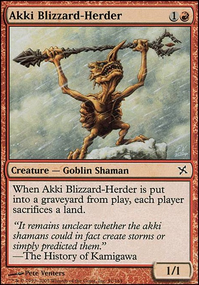 I will also say I played Zo-Zu the Punisher for awhile but found it highly underwhelming as a card in the 99 any time it came into the game after turn 6 or so and too aggressive if it came out early... 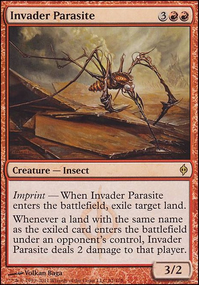 I suspect Polluted Bonds will end up the same way unless you are up against landfall decks. 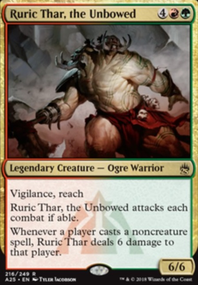 If I were to build a Goblin EDH deck, my starting point would be Zada, Hedron Grinder (as commander) and a range of attack boosters like Sure Strike . 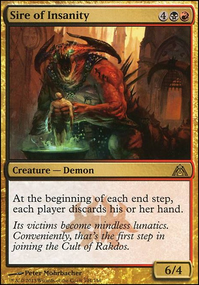 As I see things, you really need a lot of card-draw to make this type of deck work. 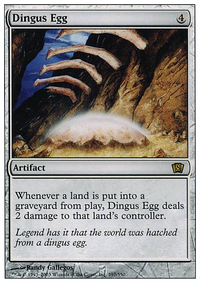 A few artifacts that you can tap for added card-draw could be rather useful. 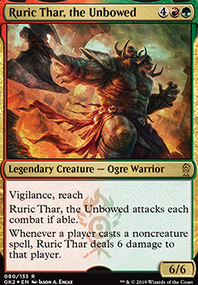 The effects of cards like Harsh Mentor and Zo-Zu the Punisher would add an extra dimension to your deck ( Chandra, Torch of Defiance might fit in here). 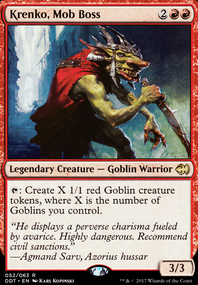 Then there are cards that are standard in any Goblin deck ( Goblin Piledriver and Goblin Dark-Dwellers etc.) 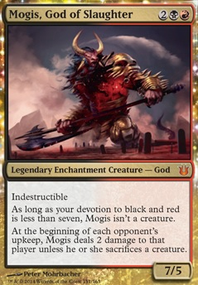 and cards that are fairly standard in any mono-red deck ( Blood Moon , Mob Rule , Beacon of Destruction ?, Soul-Scar Mage etc.). 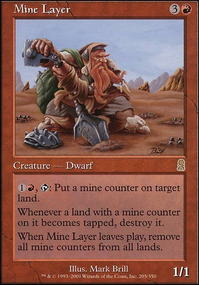 There are a few cards in your build that seem to stand out as cards that add very little to the deck ( Splinter Twin , Lightning Crafter , Goblin Welder , Thornbite Staff and Goblin Bombardment seem to stand out the most). I am sure that I am missing a few cards that could be game-changers. 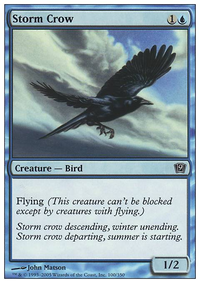 I don't play EDH very often, but I find it useful to haul out your EDH deck every few weeks, add in cards that might work in the deck, then think carefully about what you can do without. 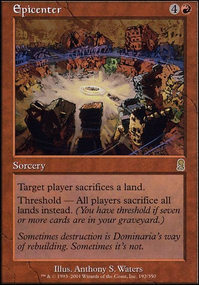 Whenever a land you control is destroyed, destroy target land. 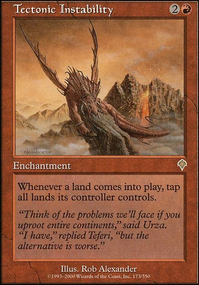 Sacrifice a land: Exile Zo-Zu Enraged then return it to the battlefield under your control. I guess a deck built around Risk Factor could go one of two ways, agressive burn or punisher effect. 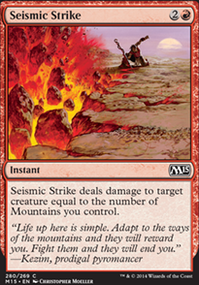 Your deck as it sits seems to be more to the burn side of things, so I'd suggest Searing Blaze over Searing Spear, you will also probably want Skullcrack somewhere in your list, perhaps in the sideboard. 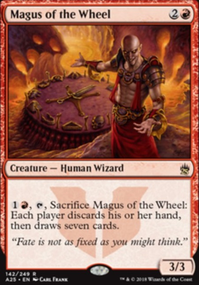 Bedlam Reveler might be a better choice than Reforge the Soul as you don't really have a way of manipulating the top of your deck, or maybe Wheel of Fate. 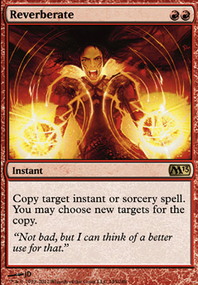 You could also utilise something like Quest for Pure Flame, The Flame of Keld or Pyromancer Ascension, rather than Guttersnipe which is rarely a good topdeck and is far easier to remove than an enchantment. 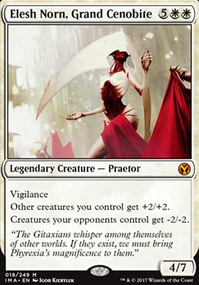 If you did want to go the punisher route then cards like Vexing Devil, Eidolon of the Great Revel, Zo-Zu the Punisher and Browbeat would probably be what you want, for starters, though it would also make sense to splash black. Hope this is of some help, good luck with your brew. I am a bit curious about your choice of running Snow-Covered Mountain without running Extraplanar Lens. 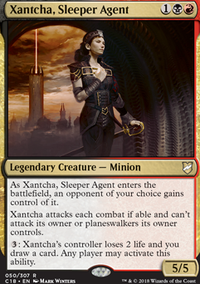 I totally get it if it's entirely for the art alone, because there really isn't a downside to running them haha. 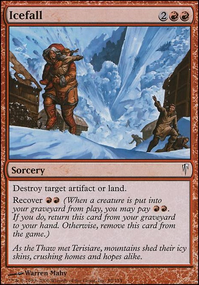 I do have a frequent Zo-Zu the Punisher player in my playgroup who runs Snow-Covered Mountains so if I play a deck like this I could just wait for him to drop a lens so I don't have to!